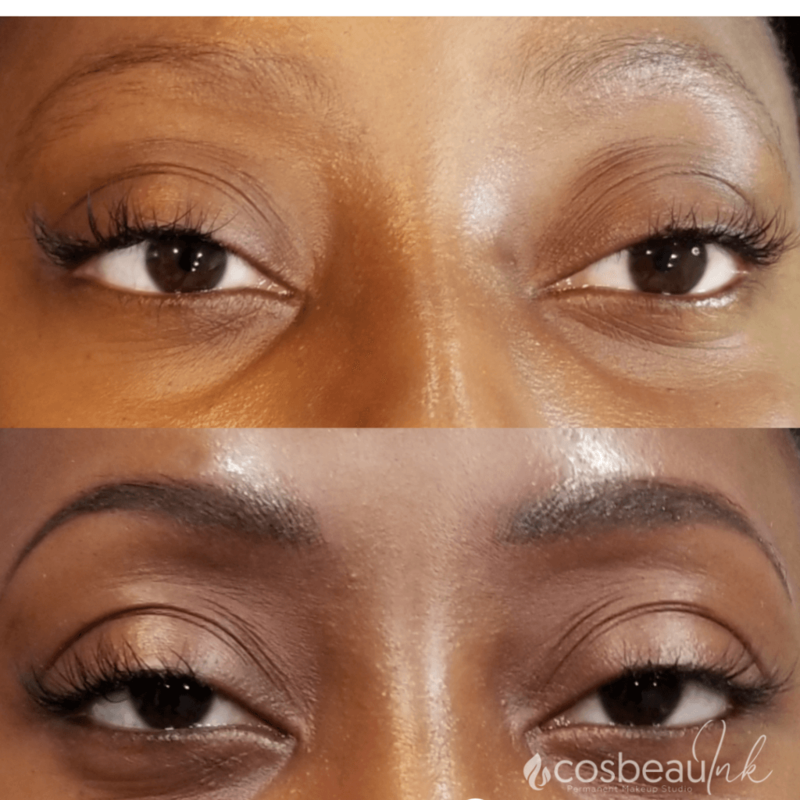 MICROBLADING IS A PERMANENT MAKEUP TECHNIQUE THAT CAN LAST UP TO 3 YEARS! There is a growing trend that is saving women both time and effort to feel more beautiful, confident, and radiant than ever before. Permanent Makeup, also known as cosmetic tattooing, refers to the process of tattooing pigment into the second (dermal) layer of the skin. Tattooing is a permanent process, hence the term permanent cosmetics. 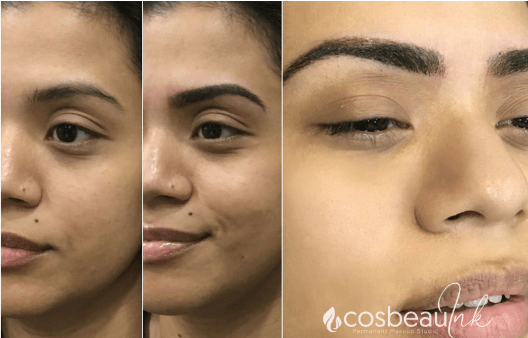 Microblading is one of its more popular eyebrow techniques that is EXPLODING throughout the US. 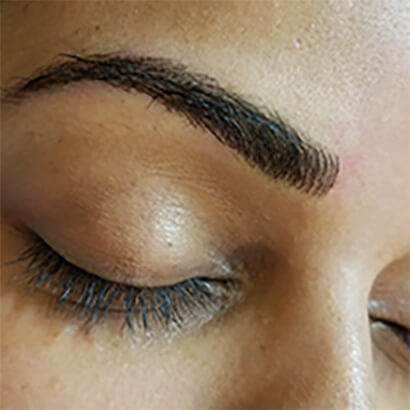 This treatment is carried out using a specialized manual or machine tool to create eyebrow designs that range from natural (Microblading) to more full coverage designs like Ombre or Combo (combination technique) eyebrows. 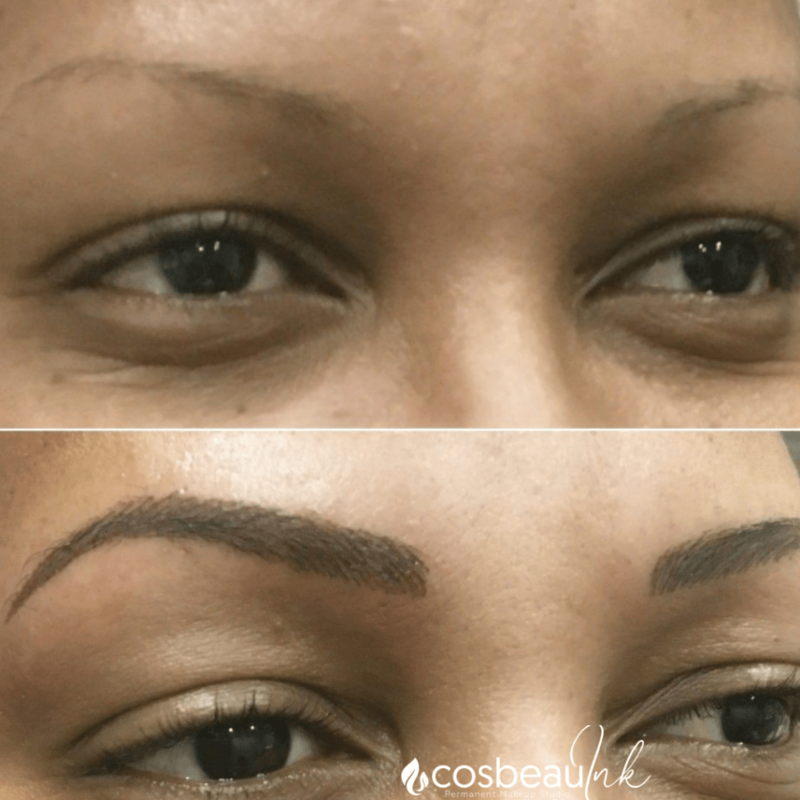 • Microblading allows the artist to create a natural looking brow with short, ultra-fine micro lines that look like individual hairs. The fine lines can be applied in the same direction of hair growth, resulting in an appearance that’s as close to a natural brow as it gets. *Ideal for clients wanting a naturalistic brow design. •Ombre Eyebrow, is an upcoming trend which involves creating a softer outline with a deep, rich color within the eyebrow area. *Ideal for makeup lovers or clients wanting full coverage. 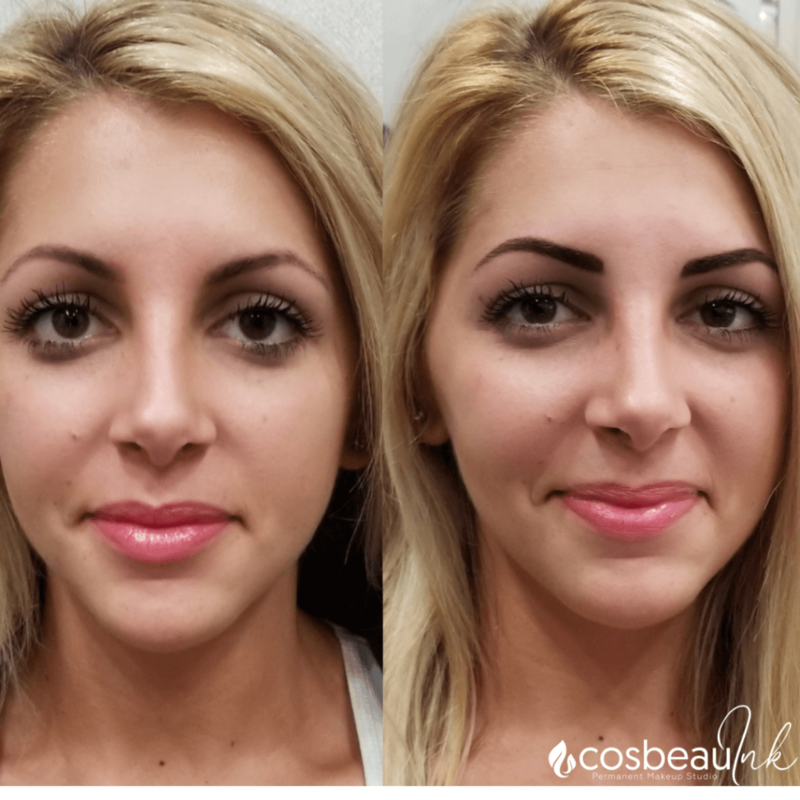 • Combo Eyebrows, marries both microblading and shaded techniques to create a more full coverage design with overlapping natural hairstrokes *Ideal for all clients, who are seeking natural accents with more density within the brow. 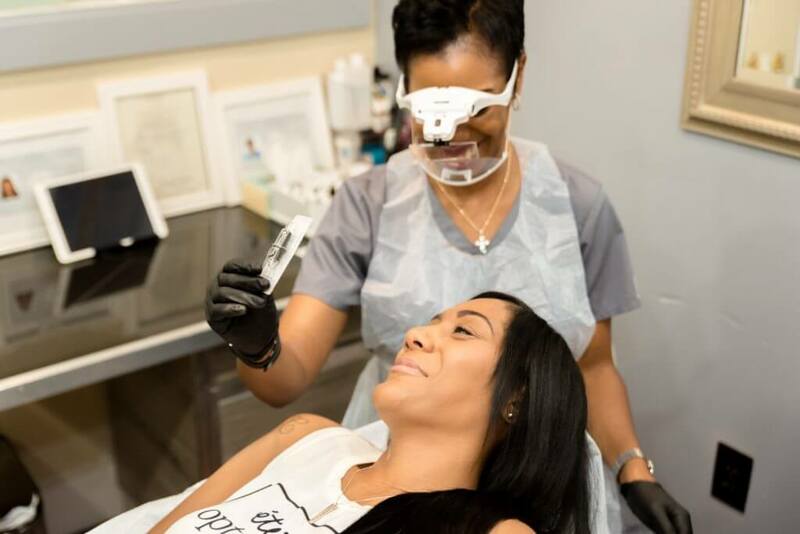 Regardless of your desired eyebrow, we’ve developed a process that is totally individual and personalized to you. We want you to have the best brows you’ve always dreamed of and that are perfect for YOUR face. During your custom consultation, we will establish what you hope to achieve from your eyebrow treatment. We begin with performing a skin assessment and a review of your medical history so we can get an idea of your makeup routine and lifestyle. A lot of our clients have overplucked eyebrows that in the past were the fashion and now want a fuller eyebrow. We can create subtle to defined and anything in between. Our consultation process helps us to determine what’s best for YOU. 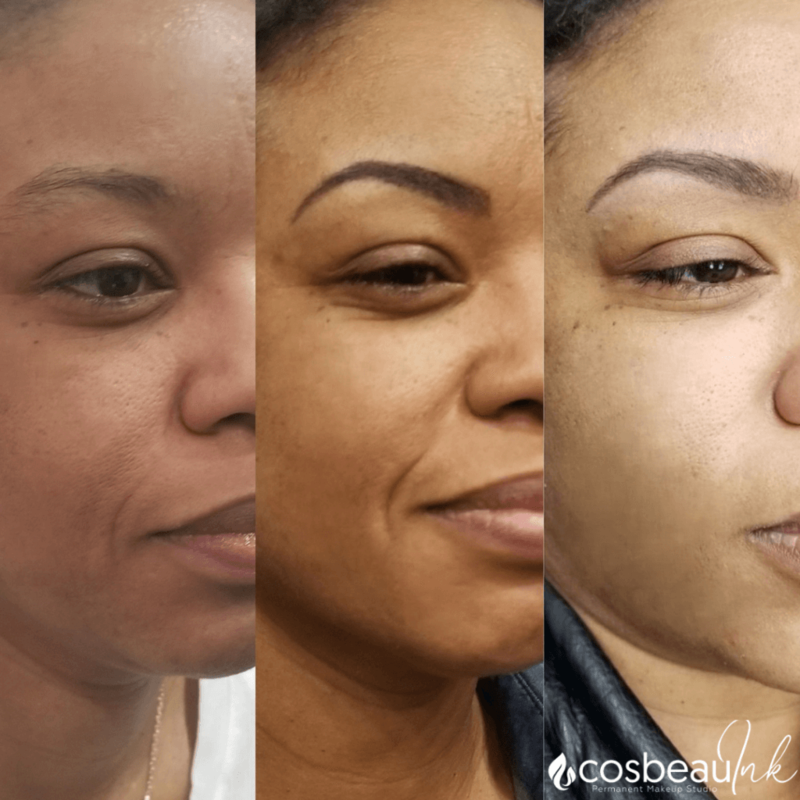 Once we determine the brow design, we then draw it on using an eyebrow pencil so you get an idea of the shape; followed by a discussion regarding the best pigment to complement your skin tone. 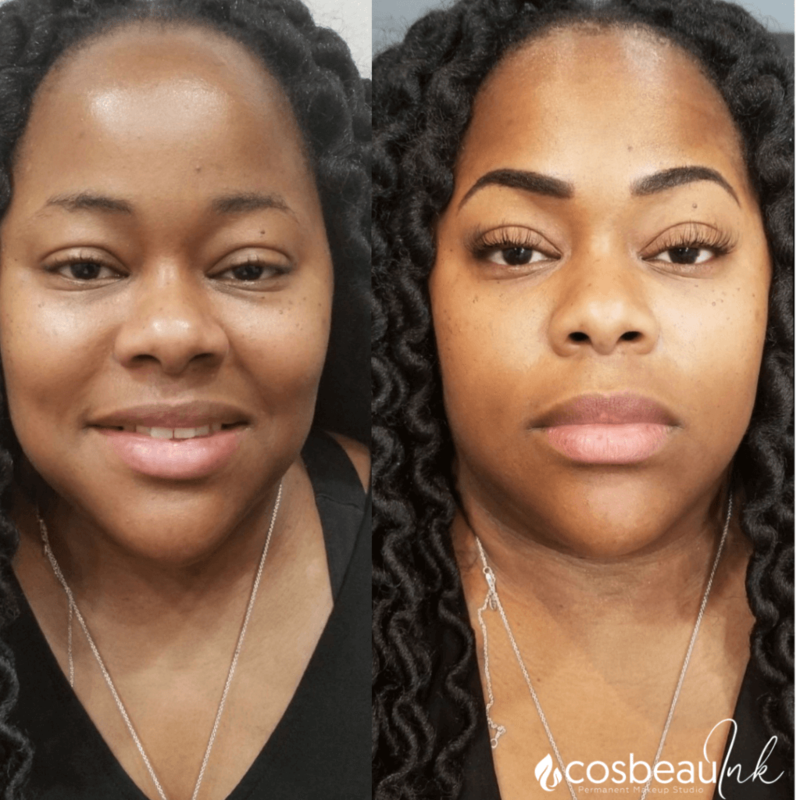 We understand that importance of your image and that is why we leverage our experience in skin care, color theory, and artistry to customized an eyebrow tattoo design that provides you with the greatest retention, accentuates your natural beauty, and leaves you feeling radiant. If you like to learn more, feel free to contact us directly to schedule a complimentary phone consultation with our lead artist.